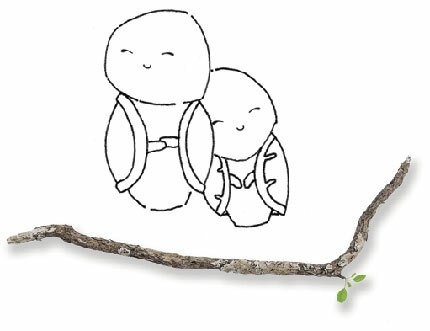 Liten Jizô comes with luck, they will protect and inspire you. They are strongly recommended to anyone who have kept a part of imagination and a sense of magic. Liten Jizô comes in 7 colors with different facial expressions. Beside a color-choice, you can get special protection and good luck in: WELLBEING, FRIENDSHIP, CREATIVITY, ADVENTURE, FAMILY, KNOWLEDGE or LOVE. Made by hand no statuette is exactly the same, they have their own color and texture variance. The Liten Jizô you adopt is unique. A small figure, sized to accompany you during your travels, Pytte-Liten Jizô lives in the pocket / * Pytte-liten means tiny in Swedish. 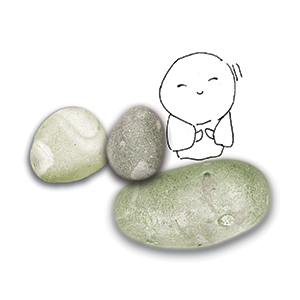 WITH INFLUENCES FROM TWO LEGENDS, LITEN JIZO IS MADE OF 5kg KINDNESS AND 28cm TOLERANCE. MADE OF SOFT CONCRETE IN SWEDEN. Beyond the similarity, each piece is unique. Made one by one near Stockholm, Sweden, Liten Jizôs are the product of traditional know-how and high-tech mineral concrete. Hence, each statuette has its own colour and texture variations. They are made of “soft concrete”, with an elasticity about three times higher than ordinary concrete, a quality that can be felt when patting the Liten Jizô. The colours come from inorganic pigments integrated in the concrete mix. events, fairs, design-markets and exclusive offers.